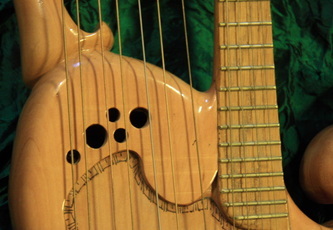 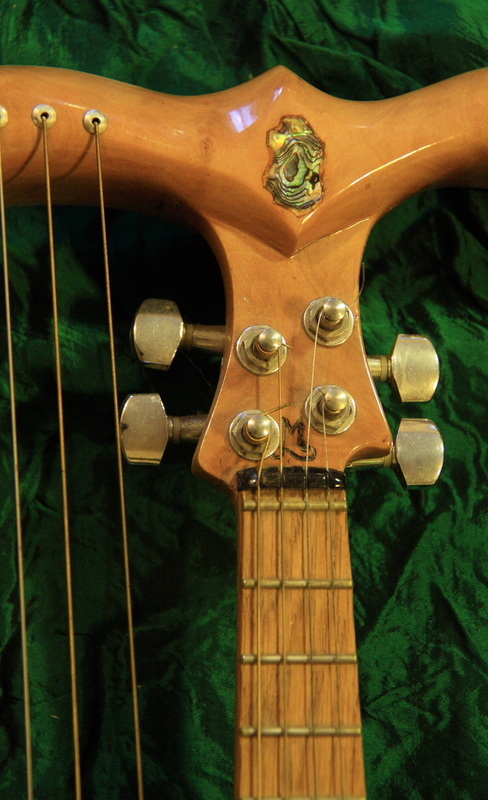 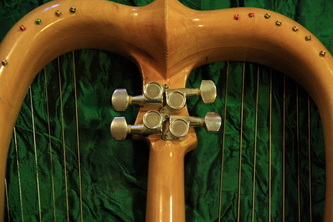 Lyres are lovely instruments that are good for many occasions. 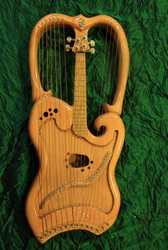 If reciting poetry to the breeze is not enough for you, try strumming a few chords with a lyre. 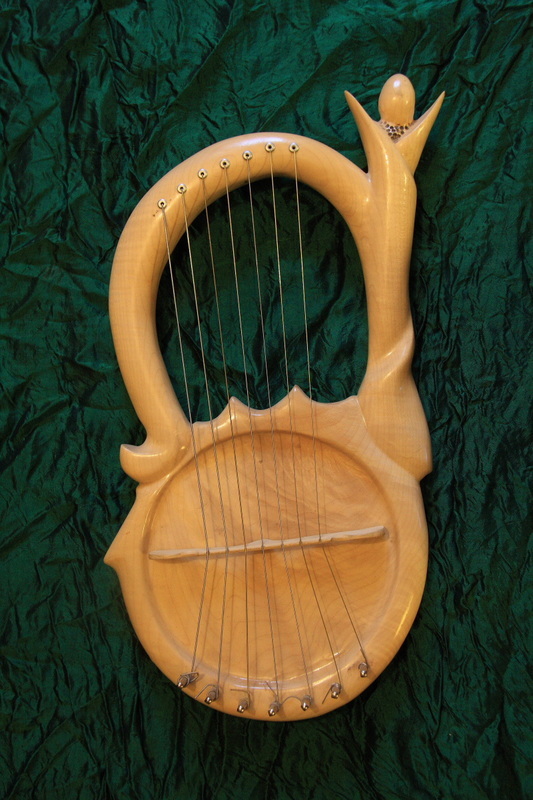 To relieve stress or health problems, you can use the healing sounds of a lyre in your hands. We have a collection of lyres modeled after traditional as well as experimental lyres.Of All models by Marko are original and one of a kind. 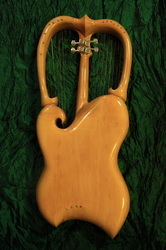 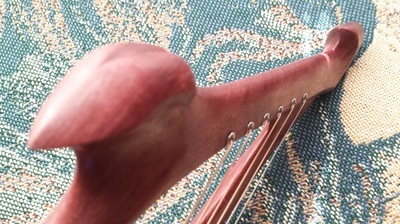 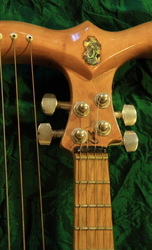 This piece is maple and made to be played, holding one hand with a rope around the back and the other plucking the strings.This is an example of a more simple Lyre price 250 euro. 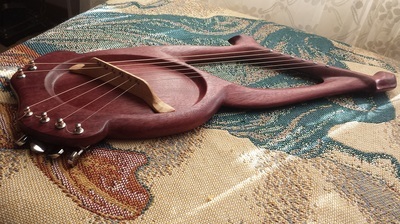 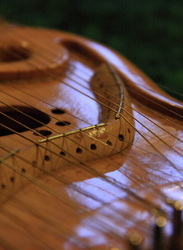 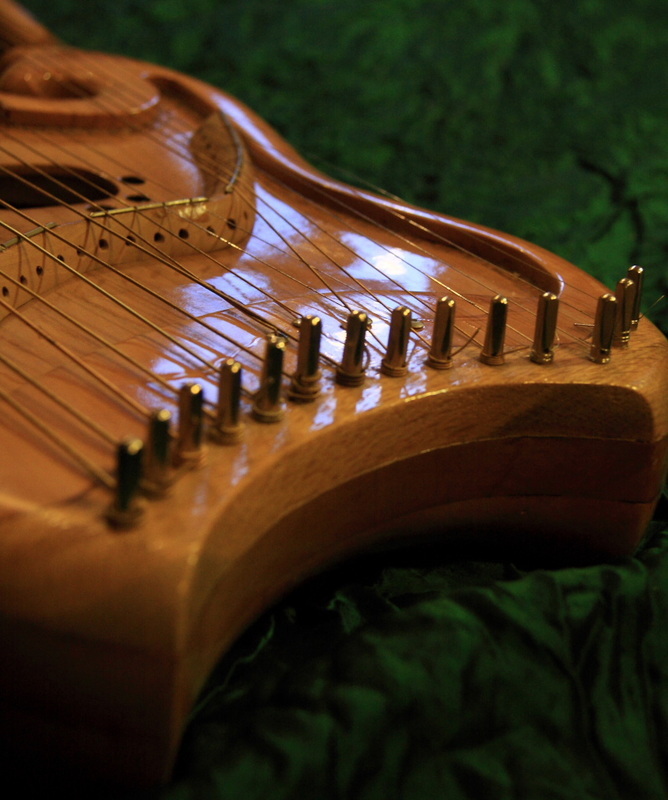 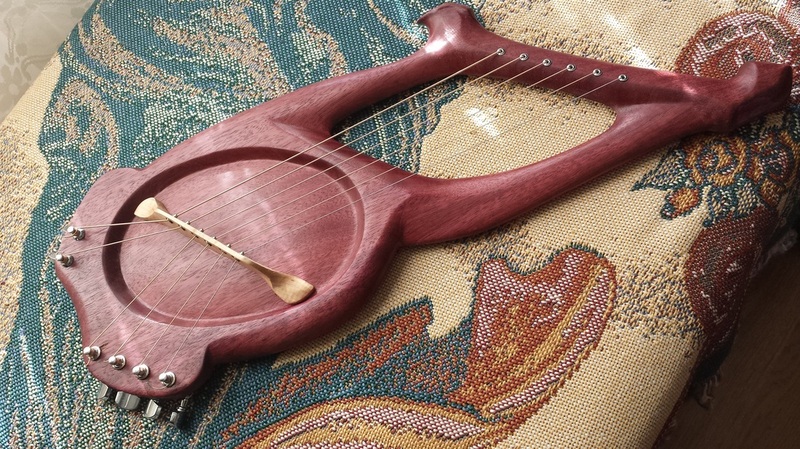 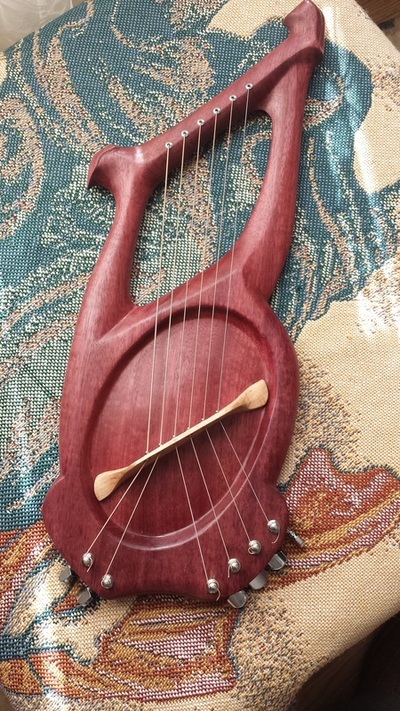 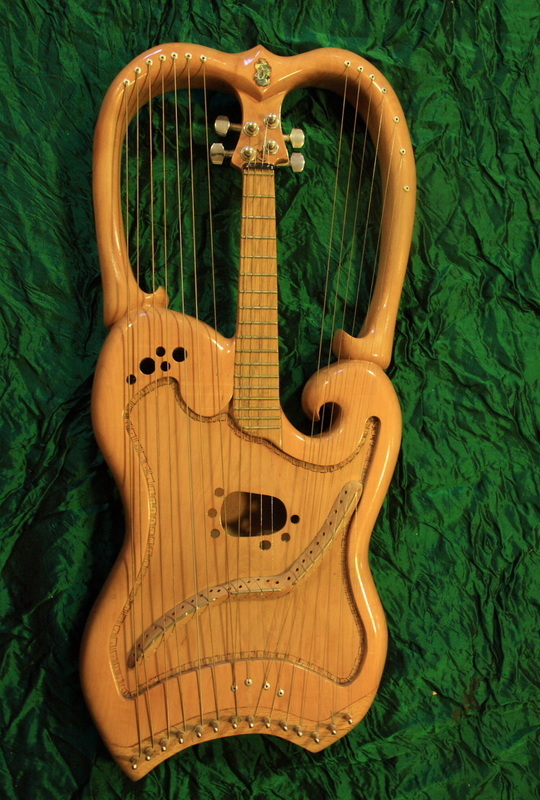 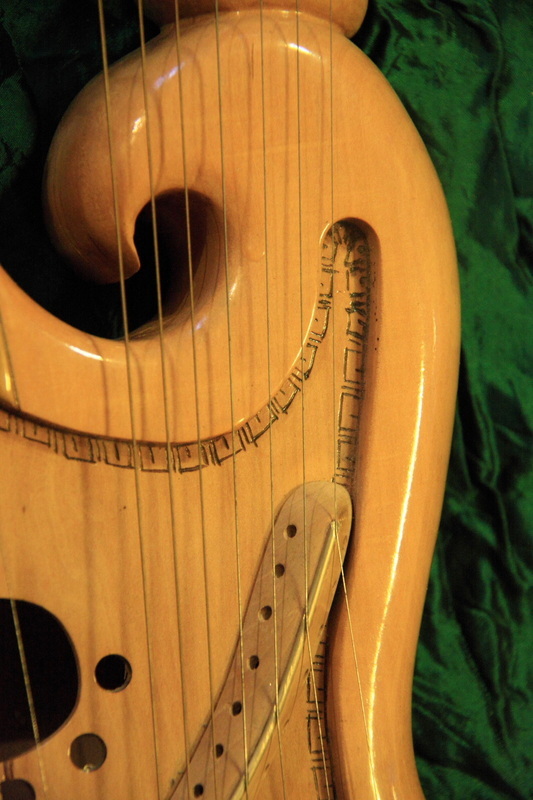 This is an experimental harp, mandolin, hollow-body lyre. 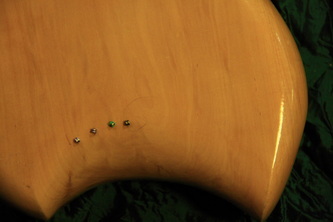 Made from Pear wood, Oak and decorated by New Zealand Paua Shell. This is an example of a high end Lyre instrument Price: 600 euro. 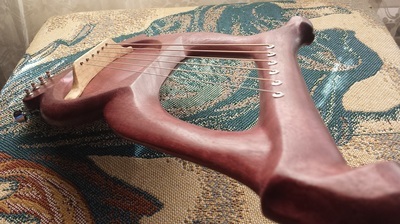 Yes, this instrument is not painted purple, As all other instruments I make, i bring forth the natural beauty of the wood itself.